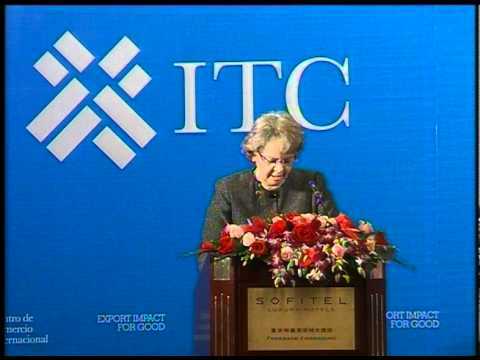 The 2011 World Export Development Forum (WEDF), the flagship event of the International Trade Centre (ITC) focused on solutions for developing sustainable tourism in least developed countries. The event took place from 10-11 May in Istanbul, Turkey within the framework of the Fourth United Nations Conference on the Least Developed Countries (LDC-IV). The LDC-IV is the United Nation’s largest conference, held every ten years to adopt measures and strategies toward sustainable development. This year’s event, held under the theme, Private Sector Engagement with LDCs for Tourism-led Growth and Inclusive Sustainable Development, brought together high-level tourism experts from the private and public sector to share their expertise in plenary sessions and develop specific pilot projects in four workshops. Tourism has been identified as a priority sector for development by 90% of LDCs and it is already a major export earner for many of them. It creates jobs and is becoming a significant industry worldwide, with a direct link to poverty eradication. ITC worked with its supporting partner, the World Tourism Organization (UNWTO), and other agencies to bring together high-level tourism experts from the private sector and the public sector to find solutions to tourism challenges. In preparation for the WEDF, representatives from the public and private sectors including Kenya’s Minister of Tourism, H.E. Najib Balala (upper left photo), Ethical Fashion Africa’ Jane Kabura (bottom right photo) and Uganda Export Promotion Board’ Florence Kata (upper left and bottom right photo) gathered in Nairobi for two days of groundbreaking discussions themed on tourism-led growth and inclusive sustainable development.